Sky High Smuggling | Stratos Jet Charters, Inc.
You are patiently waiting for the TSA agent holding your driver’s license and boarding pass in hand to give you a quick glance. Do they suspect you have a prohibited item somewhere on your person or in your carry-on luggage? Having a small pocket knife or sharp nail file in your pocket is a minor violation compared to TSA agents finding illegal drugs or weapons at security checkpoints, yet a surprising number of passengers admit to bringing illegal substances on board commercial aircraft. To get a better handle on the issue, we surveyed 1,001 travelers who admitted to smuggling some type of illicit substance or prohibited item onto a plane. These banned items, as well as reasons passengers risk getting caught, vary greatly. What we did learn according to our study is that 87.7 percent of passengers who admitted bringing prohibited items onto domestic flights did so successfully, which may not speak well for the security procedures at TSA airport checkpoints. Fasten your seat belts while we take off to explore all the places people hide their contraband and why they choose to bring it along in the first place. Would you think more men or women are members of the mile-high club? Specifically, the mile-high club for those having brought banned substances aboard. Although marijuana remains illegal under federal law, it was one of the most popular banned items that people admitted bringing through TSA security checkpoints. This ban also applies to medical marijuana, which is now legal in 30 states, with recreational use allowed in nine states. Of those surveyed, 36.7 percent of men and 22.8 percent of women reported bringing marijuana on a flight in defiance of the law. Unauthorized prescription drugs were another banned substance people confessed to bringing along, but, this time, more women than men (25.2 versus 19.1 percent) were the culprits. One of the biggest surprises in our survey revealed that 15.2 percent of men and 8.5 percent of women admitted to bringing weapons or ammunition on board a plane. Having the small, Swiss army knife that you use to clean your nails is a minor infraction; however, possessing a firearm, ammunition, or long knife is an entirely different matter. When discovered, a loud alarm will sound, and the airport police will immediately be summoned to the scene. In almost all cases, passengers are removed from the TSA area and taken to a holding room where they are questioned. Passengers may face state or local charges, and the TSA can also levy civil penalties up to $13,000. The airport having the most weapons found at TSA checkpoints since 2014 is Hartsfield-Jackson Atlanta International, with 245 firearms discovered. TSA rules allow passengers to bring alcoholic beverages (defined as between 24 to 70 percent in alcohol content) in their carry-on baggage as long as it’s in containers no larger than 3.4 ounces. Alcohol that is over 140 proof, such as grain alcohol or 151-proof rum, is strictly prohibited in any bag, but 11.9 percent of men and 7.6 percent of women admitted to bringing it along anyway. Other banned items such as poisonous, explosive, or flammable materials were also reported to have been brought aboard. Now that we’ve covered the who and what of taking illegal items through TSA checkpoints, let’s really get down to business and focus on why people bring unlawful items on board planes. While high-proof spirits don’t exactly go down smoothly, many travelers still thought it was worth the risk to bring these banned liquors on their flights. Most of these people (85.5 percent) said they brought 140-plus-proof alcohol on trips they took for leisure. While bringing unauthorized alcohol on a plane may seem harmless, one woman who brought an oversized bottle of liquor onto an EasyJet flight ended up causing an 800-mile diversion – much to the frustration of her fellow passengers. Even more of those who took marijuana along for the ride were leisure travelers (88.4 percent), and so were the 83.3 percent of people who admitted to bringing other illegal or unauthorized drugs through security checkpoints. While some reports say the TSA isn’t very effective at finding banned items, traveling with prohibited goods is still risky. That’s not to say you’ll be arrested or prosecuted, but legal experts discourage the practice. They do, however, say the amount of pot a passenger possesses determines how the TSA will handle the issue. If the amount is large enough for authorities to believe you are distributing the product versus using for personal consumption, then you’re more likely to face stiffer penalties. Business travelers didn’t seem too motivated to bring illegal substances or drugs on flights, but 20.1 percent of people who brought firearms and other banned weapons did so on a business trip. TSA officials reported they confiscated around 4,000 firearms from travelers in 2017, exceeding the previous year by almost 15 percent. We have already touched on the fact that possessing or flying commercially with any illegal drug, including medical marijuana, potentially comes with criminal and civil penalties. One of the most common reasons people brought illegal items on flights with them was so they had it when they reached their destination, 42.6 percent to be exact. Other reasons for traveling with marijuana were to reduce pre- or in-flight stress (24.8 percent) and because they discovered a rare strain of pot during their travels (18.8 percent). Of course, everyone occasionally forgets to clean out their pockets or bags, and just under 20 percent said they didn’t realize they were carrying pot through the checkpoints until after the fact. Have you ever sat next to a “chatty Cathy,” or someone who talks excessively to their fellow passengers? Most of us have, and maybe they were one of the 13.2 percent who said carrying pot helped them make friends and form connections during their travels. Another 8.3 percent traveling with pot said they intended to sell it or give it as a gift. Breaking rules usually makes people nervous, so it comes as no surprise when 88 percent of our respondents admitted they worried about getting caught. In fact, of those who attempted to bring marijuana on a plane, 42.9 percent of men and 25.7 percent of women confessed they were caught sneaking cannabis through a TSA checkpoint. The form of marijuana seems to make a difference in whether passengers are successful in getting pot through TSA checkpoints. For example, 78.5 percent of those carrying edibles weren’t caught, and neither were 68.8 percent of those who brought buds or leaves with them. However, 59.7 percent who said they carried marijuana in a liquid form for vaping were caught. Of the travelers who brought blunts, or pot rolled in cigars, 60.3 percent said they were caught with weed at some point by the TSA or other officials. Under no circumstances would we encourage anyone to engage in anything illegal, but it was interesting to learn about the various methods passengers used to bring illegal or banned items on board. When asked how they transported infectious or poisonous materials, half of respondents placed the contents inside their checked luggage, while 40.6 percent stashed it in their carry-on bags. While 40.4 percent used their checked luggage to smuggle alcohol over 140 proof, about 18.2 percent stuffed the goods inside their clothing or shoes. Passengers changed their tactics when it came to carrying weapons or firearms. Almost half placed them in a carry-on bag, compared to the 38.8 percent who added them to their checked baggage. In fact, carrying weapons in checked bags can be allowed as long as passengers abide by TSA guidelines. Astonishingly, 14 percent said they carried illegal weapons or firearms inside their clothes or shoes – and 4.2 percent of those who brought marijuana aboard hid it within their body. Unauthorized prescription drugs were transported in carry-on luggage by 56.6 percent of respondents who admitted sneaking them aboard, compared to the 28.8 percent who packed them in their checked luggage. Officials say prescription drug abuse in the U.S. has reached epidemic levels and kills more people each year than car accidents. Most passengers admitted they mainly relied on their own instincts and didn’t use any resources to carry prohibited items on planes. Nonetheless, 38.4 percent logged onto the web for advice, and another 26.2 percent sought guidance from friends and family. It’s easy to assume passengers may exhibit nervous tendencies while carrying prohibited items through a TSA checkpoint or in checked luggage. Yet, 44 percent of people who took illegal drugs on planes said they weren’t worried at all about getting caught. Fewer than 3 percent of those carrying illegal drugs on commercial flights reported getting caught. Colorado is one of the few states where recreational use of marijuana is legal. In 2015, an estimated 54 million passengers passed through the Denver International Airport, but only 29 were stopped by TSA agents for possession of pot. Of those 29, all were asked to dispose of their stash or store it off-site, and everyone complied. Heroin and cocaine topped the list of illegal drugs, but the percentages of passengers carrying these drugs on board were in the mid to low single digits. Benzodiazepines were the most common class of unauthorized prescription drugs carried on planes, followed by sleep medications and opioids. Although it’s interesting to gain insight into how and why some passengers are willing to risk bringing unauthorized or prohibited items on board domestic and international commercial flights, we advise you to obey all TSA and airline rules and regulations. 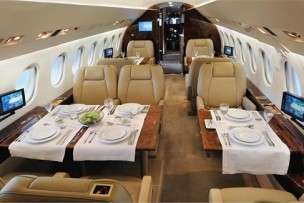 If flying in comfort, safety, and style is something you desire, consider booking your next trip with Stratos Jet Charters. Our superior customer service and luxury aircraft provide a unique travel experience you won’t soon forget. And you certainly won’t have to worry if the passenger next to you is flying higher than you. The average age of participants was 34.9, and they ranged in age from 18 to 86. The standard deviation was 11.1. 53.9% of respondents were men, and 46.1% were women. Since our survey only included people who had brought prohibited items onto planes at least once, these findings do not represent the frequency by which the general population brings prohibited items onto planes. We used Amazon’s Mechanical Turk to conduct this study. If we had used a different method, the results of this survey may have varied greatly. Data in this study were not weighted nor statistically tested. Data were also self-reported by participants, which means they may have been influenced by participants’ inaccurate memories, over-exaggeration, or even minimization of their actual experiences. The list of prohibited items may not be entirely exhaustive or representative of airline-specific or country regulations regarding what may be brought on board a commercial aircraft. We appreciate your interest in understanding why some passengers are brave enough to assume the risks of sky-high flying. If the information contained in this article is useful, you are welcome to use it for noncommercial purposes. Our one request is that you link back to this article to provide due credit. Find a provider you trust. We're here to help you ask the essential questions.